Avengers: Infinity War was always expected to be a juggernaut at the box office. And now that the first weekend after the release of Marvel’s latest superhero spectacular is over, it has a host of records to its name which say ‘highest’ and ‘of all time’ in the same breath. Avengers: Infinity War earned $630 million (approximately Rs 4181 crore) at the box office in its first weekend, the highest global opening of all time, industry estimates showed on Sunday. China, probably the biggest market for the film after North America, is yet to watch the Russo Brothers’ directorial. The film is going super strong in India too. Avengers: Infinity War has made it to biggest first weekend opener globally, the film broke all the record in the first week itself. The film has also earned titles like the ‘highest’ and ‘of all time’ in the same breath. Avengers: Infinity War earned $630 million (approximately Rs 4181 crore) at the box office in its first weekend, the highest global opening of all time, industry estimates showed on Sunday. China has the biggest market for the film after North America but China is yet to watch the film. 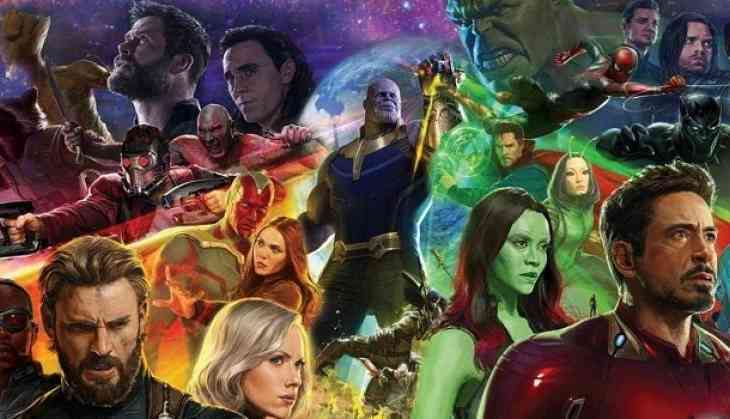 Avengers: Infinity War obtained Rs 31.30 crore on Day 1 and subsequently earned Rs 30.50 crore and Rs 32.5 crore on day 2 and 3. Industry tracker Exhibitor Relations said, “The latest Marvel juggernaut... opened with $630M worldwide, making it the largest global weekend tally in the history of film, and this was done without China." Before the Marvel movie, The Fate of the Furious movie opened with more than $530 million globally in 2017. Avengers Infinity War, broke the record for highest North American opening weekend, raking in $250 million at US and Canadian box offices. The Marvel movie was left behind the Star Wars movie 'The Force Awakens' which earned The Force Awakens.